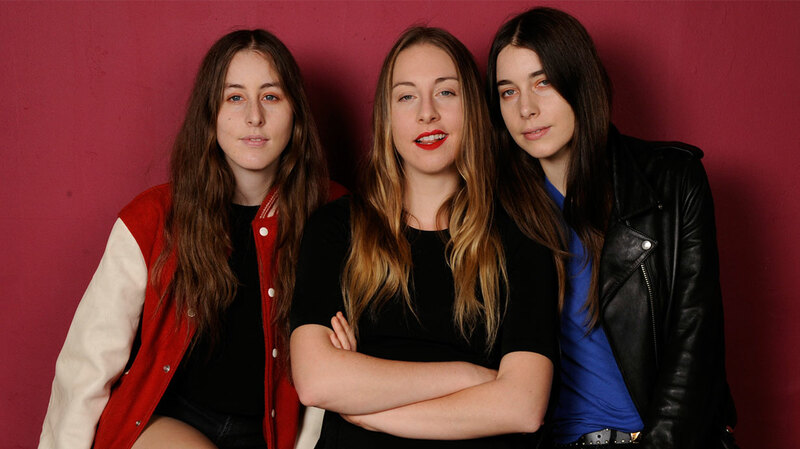 Hyperbole aside, Haim are the hottest band on the planet right now. We stole five minutes with Este, Danielle and Alana to find out more about their debut album, Days Are Gone. Let’s start at the beginning: what’s your earliest musical memory? Sitting in my parents’ bedroom and my mom teaching all of us how to play ‘Big Yellow Taxi’ on guitar. Do you remember what the first record you bought was? 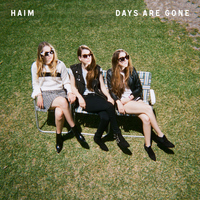 Were you in bands before Haim? We were in a band with our parents from the time we were little kids. When we got older, we each were in bands with friends from high school, but they were really just for fun, and never serious. I think we always knew we wanted to play music together, and even if we weren’t making music as Haim we would still have been involved in music somehow. So what was the goal sonically for Days Are Gone? We just wanted to make a record that we were excited to show people; that we could really be proud of. We had a blast making it and that’s really all we cared about: have fun and really make the record we wanted to make. It’s the summation of all of our lives up until this point. If you had to sum up Days Are Gone in no more than two sentences, how would you do so? Best when played with the top down! Have fun: dance like no one’s watching. The second half of the album’s particularly interesting; it has a more electronic feel to the first half. Presumably those songs were written later than your early singles? Yeah. The newer songs came out of f*cking around in the studio and being able to experiment as much as we wanted to. We felt very safe in the studio with Ariel [Rechtshaid] and James [Ford], and they gave us the confidence to go in any direction we wanted to. ‘My Song 5’ came out of that environment. It really was a mixture of parts that we wrote and put together to form the song. The title track was co-written by Jessie Ware and Kid Harpoon: how did that collaboration come about? It really was a happy accident really. We came to the studio that they we’re both working in and, indecently, crashed their session. After we met Jessie we really fell in love with her and decided to continue hanging out that night and grabbed some dinner. After a five hour hang out we decided to go back and f*ck around with a song, and we ended up writing ‘Days Are Gone’ in an hour. We had the best time writing with Tom and Jessie – it was so much fun. ‘Running If You Call My Name’ is our collective favourite as of now, probably due to the fact that it’s the newest song we wrote for the record. It’s also the song that’s at the end of the record, because we thought it was the best way to finish the album. From winning to the BBC Sound of 2013, to performing with Primal Scream at Glastonbury, you’ve had the most incredible year so far. Do you have a personal highlight? We’re going on tour with Phoenix this fall and we’re so excited about it! We’ll also be doing our own headline tour in December, and then hopefully spending the holidays with our family. And finally, what’s your ultimate ambition for the band? To keep making music and keep touring. For the rest of our lives.